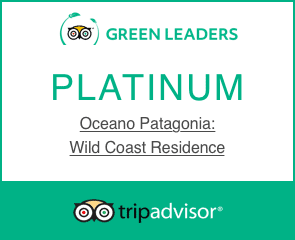 We look forward to warmly welcoming you to our beachside eco-hotel in Puerto Pirámides, situated within a natural sanctuary. Please contact us directly with any questions you may have about your stay or our location. We are privileged to offer you luxury condominium-style accommodation in the middle of this pristine nature reserve. Getting here: From Buenos Aires, our guests take a short flight to one of two nearby airports, Puerto Madryn or Trelew. A convenient car service can be arranged for the scenic drive to arrive at Océano Patagonia in Puerto Pirámides, or experience the freedom of independent exploration with a rental car. Some guests also opt to drive the 13 hour trip from Buenos Aires. We are happy to help you make travel and tour arrangements with trusted local service providers. Contact us!